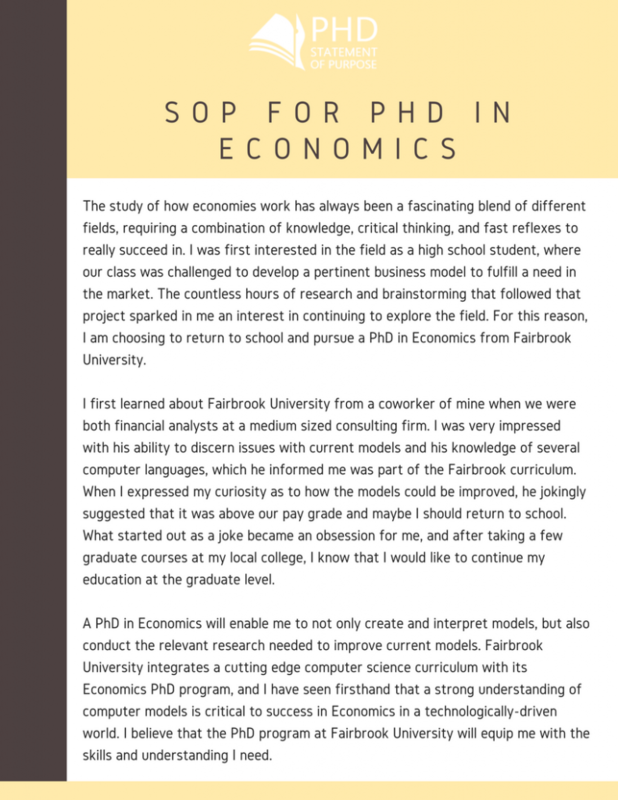 Studying for a doctorate in economics is a real achievement but you will have to fight off many other applicants for the place that you are looking for. Your competition, however, is going to be very strong and likely to have qualifications and backgrounds that are very similar to your own. There will, therefore, be little to choose between you and this is why your statement of purpose is so important, read more about PhD admission requirements in USA. A well-written statement of purpose for economics PhD programs will likely be the deciding factor in whether you will get accepted or not. Great qualifications and experience is not a guarantee to getting into the best economics program. The surest way to get in is to ensure that your statement of purpose economics PhD is exceptional. To get into these top PhD economics programs, you need to impress the committee with an economics statement of purpose that is a sequel to none. Stanford University. This program entails student specialization in field courses, filed specific lunches and seminars all geared towards producing an outstanding student. Stockholm School of Economics. 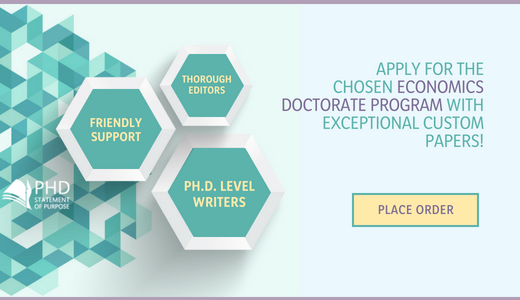 This program has the advantage of access to generous research funding, close and informal connections to faculty, publication of frequent research of Ph.D. theses in leading journals as well as high-quality courses and seminars. London School of Economics and Political Science. Here you are guaranteed a chance to make contributions to the field of economics with your research through the publication of your work. University of California, Berkeley. This program gives an opportunity to students who are interested in advanced study in economics and making contributions through authentic research in areas of specializations in the field of economics. London Business School. This program operates a high faculty-student ratio making it possible for students to be able to work closely with their supervisors and have access to international conferences necessary for the next level. Why do you want to study economics? Why are you interested in this field? Show that you have the required skills to conduct research. Show where you hope your studies will take you career wise. Indicate the area that you would like to research for your PhD. How you open your statement is vital if you want to have an attention-grabbing and effective statement. Your opening line needs to be a “hook”; like a newspaper article, it has to make the reader want to discover more. Do not use quotations and do not start with a horror story opening as that will be seen as manipulation. Use a little known or startling fact, or best of all a relevant interesting personal anecdote. Your statement should never read like a disjointed list of facts about you. If you want to maintain the interest of the reader it needs to read more like a story. So, ensure that you have a logical flow through your statement and carefully review your transitions. Avoid the use of clichés and quotations; they want to hear your words not those of another. Never repeat information that is included elsewhere in your application. Do not make statements that are already obvious. Avoid all forms of wordiness. It is rare that your first draft will be exactly what you want to say. Be prepared to revise and edit your statement of purpose several times to ensure that it is perfectly tailored for your application. Proofread the results to ensure that there are no errors as even a single writing error could be seen as a lack of care and thus a lack of interest by the reader. We offer all of the help that you need with writing and editing your statement of purpose through some of the very best staff that you will find online. Our staff is themselves PhD qualified and have many years of experience working with the application process. Whether it’s PhD economics SoP or chemical engineering PhD programs, you’ll get the best work possible. We offer unique and error free writing with free proofreading and plagiarism testing. All of our services are also delivered on time and are covered by our money back full satisfaction guarantee. We can always help you with all special kinds of papers, including physics grad school statement of purpose. 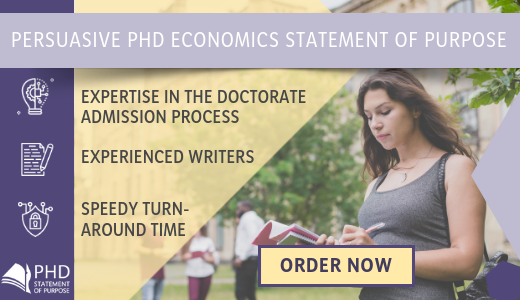 For professional help with your economics PhD statement of purpose contact our experts!